← Bear Sighting at Hillsborough Antique Show! 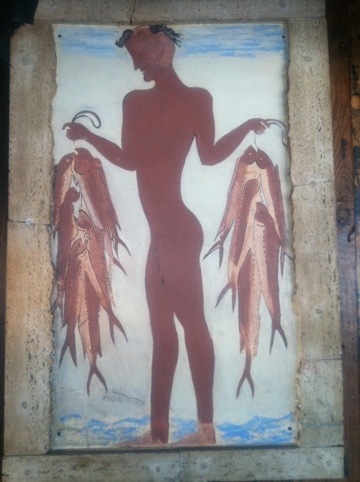 Sight seen at North Hollywood Diner: Naked Minoan Fisherboy! Lots of quirky decor in this NoHo institution. Andrew’s North Hollywood Diner has been in business since 1959, and is open 24 hours a day. This entry was posted in Art and Artists, Food, iPhone, Los Angeles and tagged Art, iPhone Photo, NoHo, North Hollywood Diner. Bookmark the permalink.